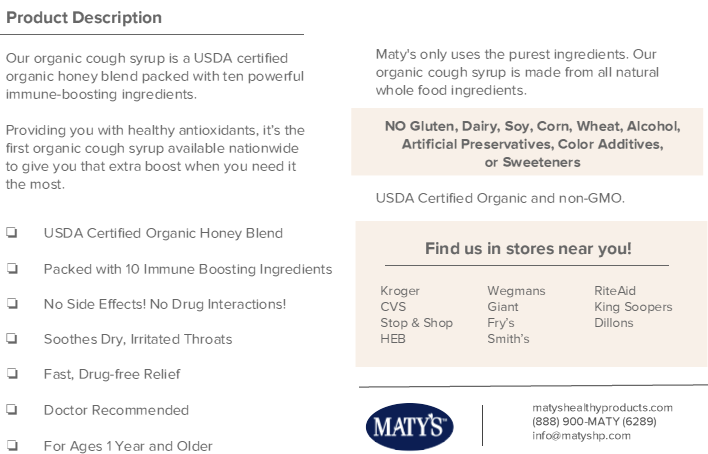 Maty’s Healthy Products are made from the purest natural ingredients. 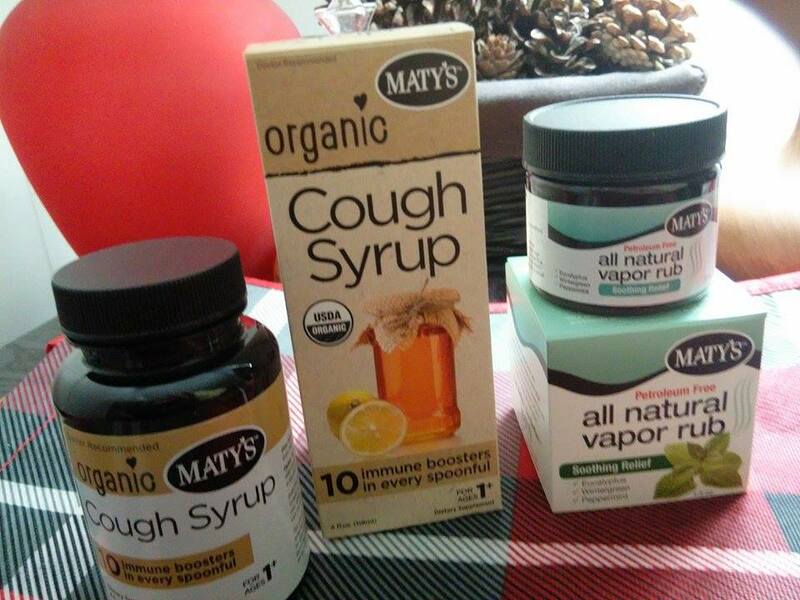 From our family to yours, we wish you continued good health & happiness, naturally. 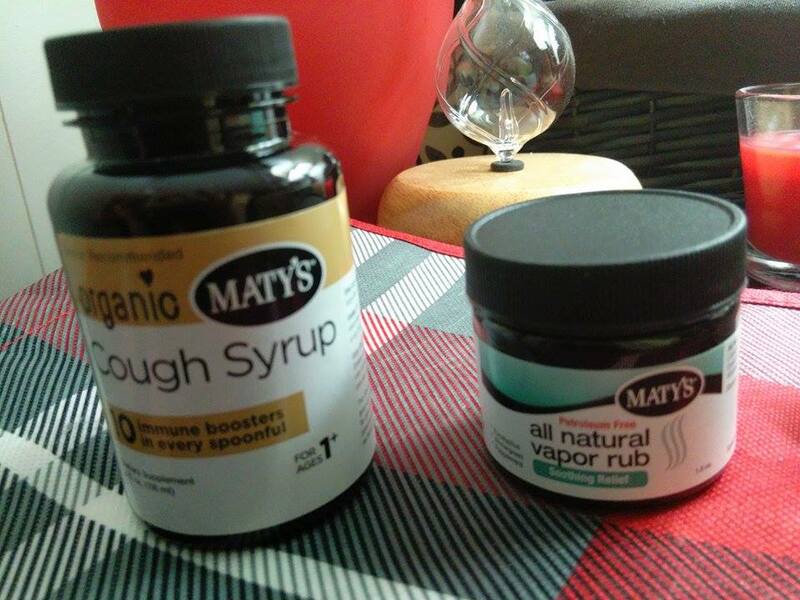 With cold season in full swing, I was happy to get Maty's Organic Cough Syrup and Maty's all natural vapor rub. I love that Maty's products are organic and use natural ingredients to help relieve the symptoms of of the common cold and boosts the immune system with each use. 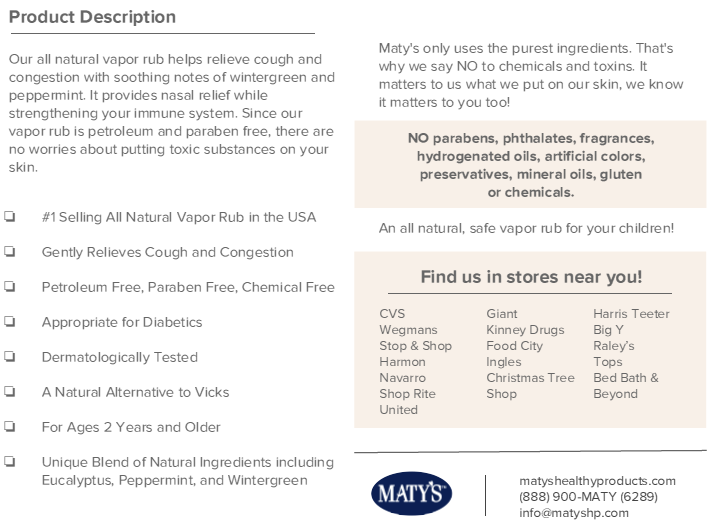 I really love this all natural vapor rub. 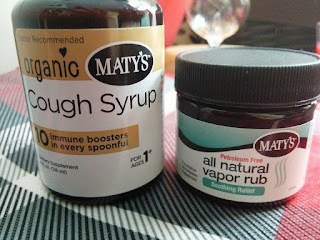 I had stopped using my old brand of vapor rub for a few years and am so happy to have found this all natural vapor rub. It works wonderfully and I feel good about using it on my family, including our toddler. I like that it is sold at local stores near my home. 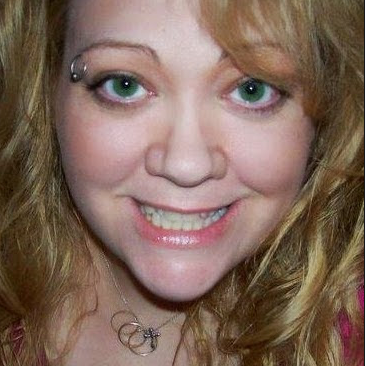 I like that it is diabetic friendly so I can use it with no worries. 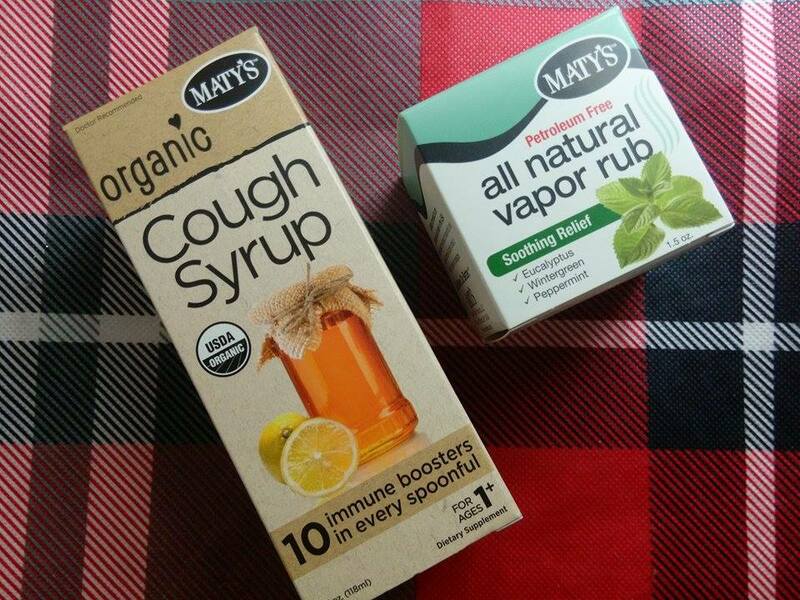 I really like that they have immune boosting ingredients to really help get over a cough much quicker. I don't like to take medications or give medications to my family but when I need to I feel great about giving them Maty's cough syrup and all natural vapor rub. I recommend it.